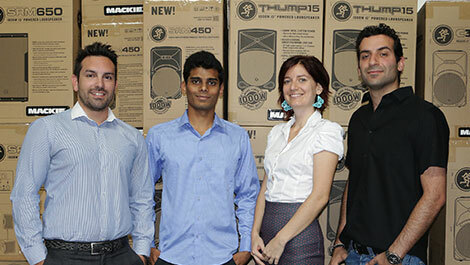 Nicolas Kyvernitis Electronics Enterprises (NMK), professional audio, video and communication distributor in the Middle East, has been recently appointed by Loud Technologies as its new Mackie distributor for the region. New distributor is taking over the distribution in the whole region covering the countries that haven’t been directly covered before. Apart from the distribution itself, a key element of the company’s business is it's service centre. This will provide required maintenance or repair of Mackie’s new and old models. To provide the after-sales service during and after the warranty period, NMK has invested in training and developing its employees. NMK began operations in 1987 focusing on the audio, video and lighting industry. From its humble beginnings in Sharjah, the company has grown into a leading distributor of professional audio products in the Middle East. Together with its portfolio of reputable brands, a dynamic team and strong financial foundation there is no surprise that the company has achieved a market leader position in its niche industry. Nowadays the company is based in Dubai.